The 51st launch of the Artemis Launch System was a beautiful sight! 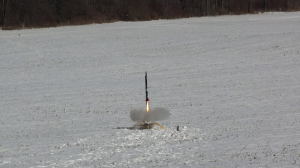 Nala1 lifted off on her first “full power” flight on a G-64 motor. This mission had two objectives. 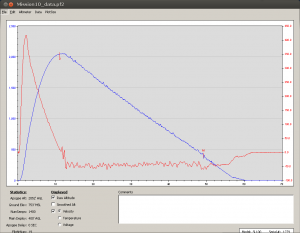 1) To finally reach the “maximum altitude” for the Artemis rocket design. 2) To prove the reliability of a new on-board battery to power all of her electronics. Both goals were met – or exceeded expectations! On her way to 2052 feet on a beautiful cloudless / windless day! Nala1 reached an altitude of 2052 feet. 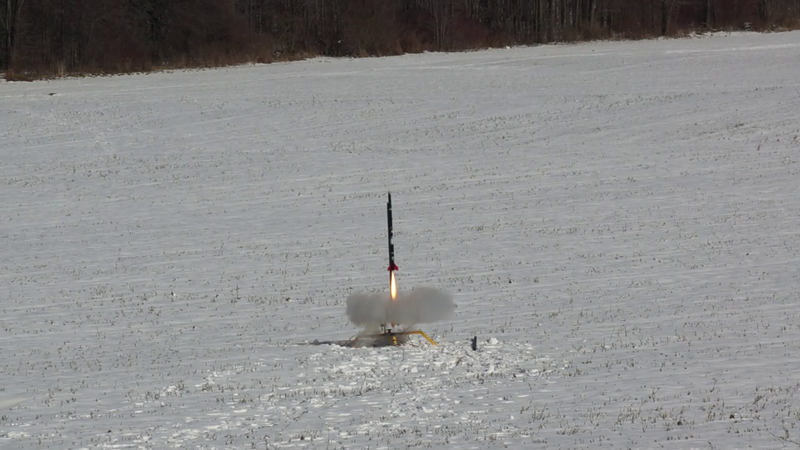 The highest altitude of any of my rockets to date, easily beating X4 Perseus Eagle’s estimated 1700 foot record from last year. Top speed was about 420 MPH. Quite impressive! 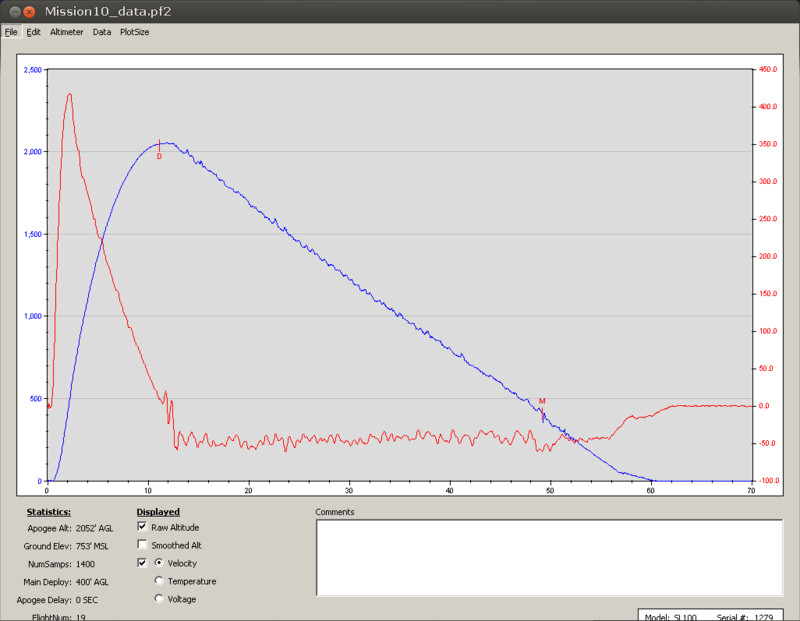 Flight data from ALS-051. Click on image to expand. The only problem I encountered involved the on-board video camera, which gets to be a bit flaky in cold weather. All was not lost as a friend of a friend brought along a video camera, and took a pretty cool video record of the flight! Video to be posted soon on the CPG Aeronautics You Tube channel. Nala1 is now undergoing deep inspection / refurbishing work after a busy year of continuous flights. Next launch is set for late March 2013.